The Joint Admissions and Matriculation Board (JAMB), have this year, re-introduced a new result checking/access card other than the usual e-facility card, thus e-bundle card is new JAMB result checker card. You can now make request and buy your JAMB e-bundle scratch card (Pin & Serial Number) from us without stress. 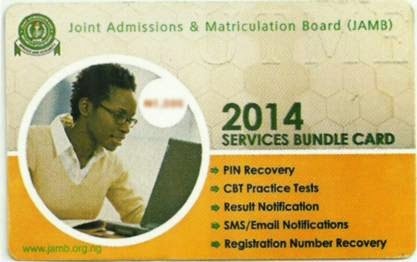 With this card, you will legitimately check your result on JAMB official website and as well print your result. Thus whether you have seen your result or not, the e-bundle card is for you. No.the e-bundle scratch card is currently only used to check 2014 jamb result while the e-facility scratch card is used to print out your jamb original result, admission letter and retrieving of lost jamb reg no. 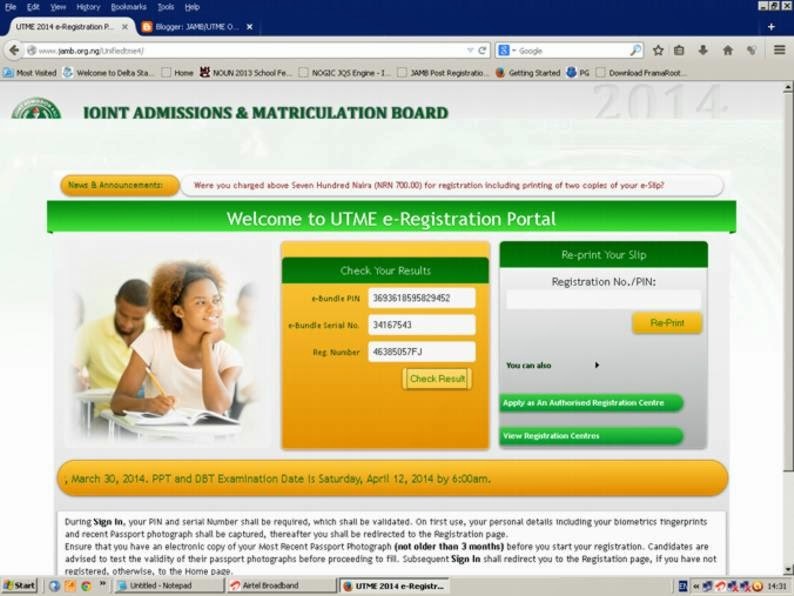 Can the JAMB scratch used for my online registration, can it be used to check my result? Answer: No. it does not work, you can only used it to reprint your photo-card, not to check result. How much do you sell your e-bundle scratch card? How can I purchase the e-bundle scratch card from you? 10. Confirm whether everything is correct, If everything is Ok, then make the payment. 11. You'll get a confirmation message about your transfer. 2. After payment, send an sms in this format displayed below to 08051311885. Meet us in person at our office address above. How do i make use of the e-bundle card to check my result? What is the maximum numbers of times can i used it to check my result? Five (5) times, once you exceed it. you have to buy a new one and it can not be used to check someone else result, apart from the first jamb reg no. it was used for. Nice post and description on the e-bundle card. Students will enjoy this.